A ransomware for Windows 10 OS has appeared that not only uses a strong cipher to encrypt files of infected computers. What is new with this ransomware is that it splits files into different parts besides encrypting them, making the job even more impossible than previous ransomware variants. Researchers are presently working on discovering what exactly this ransomware variant is capable of and in the meantime users are advised NOT to pay any ransom money to cyber-criminals, because a decryptor may be released for free later on. Ransomware virus attacks have increased a lot in the past two years, causing an immense amount of damage. The viruses have begun to spread across the globe, and their variations became even more than before. Law enforcement agencies have tried to stop this menace, and they have captured several criminal enterprises behind these attacks, but this only resulted in releasing some decryptors. In fact, the consequence for this is that cyber-crooks became increasingly paranoid, adding new features in ransomware viruses. One of those new features is the rootkit capabilities of ransom viruses. Notorious crypto-variants like Petya and its “sister” Mischa Ransomware have bonded together attack directly the master boot record (MBR) of the computers they infect adding a XOR value to them. Later on, this method proved fixable by simply booting from a safe device which does not have its MBR attacked and copying the files which were non-encrypted. 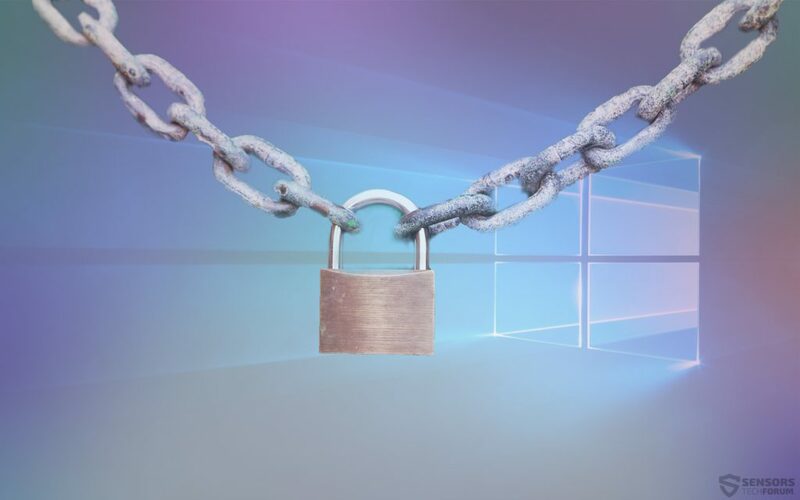 Another relatively “new” feature which has seen more popularity with ransomware viruses lately is the Cipher Block Chaining mode which interestingly enough separates encrypted portions of files, calling them blocks. This separation is also used in combination with a so-called IV (Initialization Vector) which breaks the file when you try to decrypt it, making file decryption a very risky process, especially if users try to do it by themselves. Virus-encoders have also begun to use stronger ciphers such as the RSA-4096 and the AES-256 algorithms, and this proved to be rather risky because some viruses which were poorly coded, like CrypZ Ransomware broke users’ files permanently by releasing a broken decryptor after being paid the ransom. Not only this but, Fake Ransomware viruses have also begun to infect people. Viruses, like the Fake AnonPop Ransomware, directly delete the files of the machines they infect and still ask users to pay the ransom money, which is a new peak in the audacity of cyber-criminals. Besides this, ransomware attacks have seen a revolution In the private and government sectors as well, attacking governmental institutions and small businesses as well. Crypto-virus attacks have not only spread across more and more systems, but they have also started to be more and more developed, adding new features, new extensions, hiding the files of infected users and even adding voice messages. What is New with .PLC Ransomware? It is believed that since the files are split into parts, the cyber-criminals behind .PLC Ransomware virus may have created a program which acts as a compiler and a decryptor at once. This means that they may provide decryption and compile the files of affected users after paying the ransom money. This is a new development In ransomware viruses and only time will tell whether or not it is effective. Besides that, the virus may also encrypt the files with either RSA, AES or other cryptographically strong encoding language. The .PLC virus may also add a ransom note, which contains instructions for users on how to pay the ransom. Ransom payoffs by viruses like the .PLC variant may be conducted via anonymous Tor networking and the usage of BitCoin – the most widely used cryptocurrency at the moment. This is why we strongly recommend that you to use the instructions posted below to remove this virus from Windows 10 in case you have been infected by it and try to restore your encrypted files using other alternative solutions that may work in some cases for some of your files. As a bottom line, Ransomware has brought a new type of crime. With the ever increasing technologies the threats have also changed and this is a proof. We have researched a lot of crypto-malware variants the past few years and we have to ask ourselves, where is the borderline for this and when will it stop? There is no answer that can surely be appropriate and satisfying for this question, however the situation is all in our hands to stop this ever-increasing threat to our data. Threats such as PLC may be persistent. They tend to re-appear if not fully deleted. A malware removal tool like Combo Cleaner will help you to remove malicious programs, saving you the time and the struggle of tracking down numerous malicious files. Threats such as PLC may be persistent on your system. They tend to re-appear if not fully deleted. A malware removal tool like SpyHunter will help you to remove malicious programs, saving you the time and the struggle of tracking down numerous malicious files. Note! Your computer system may be affected by PLC and other threats. SpyHunter is a powerful malware removal tool designed to help users with in-depth system security analysis, detection and removal of threats such as PLC. 1. Install SpyHunter to scan for PLC and remove them. 2. Scan with SpyHunter, Detect and Remove PLC. Ransomware infections and PLC aim to encrypt your files using an encryption algorithm which may be very difficult to decrypt. This is why we have suggested several alternative methods that may help you go around direct decryption and try to restore your files. Bear in mind that these methods may not be 100% effective but may also help you a little or a lot in different situations. Note! Your computer system may be affected by PLC or other threats. Remove PLC by cleaning your Browser and Registry. Fix registry entries created by PLC on your PC. Combo Cleaner is a powerful malware removal tool designed to help users with in-depth system security analysis, detection and removal of threats such as PLC. Step 5: In the Applications menu, look for any suspicious app or an app with a name, similar or identical to PLC. If you find it, right-click on the app and select “Move to Trash”. Step 6: Select Accounts, after which click on the Login Items preference. Your Mac will then show you a list of items that start automatically when you log in. Look for any suspicious apps identical or similar to PLC. Check the app you want to stop from running automatically and then select on the Minus (“–“) icon to hide it. Remove PLC – related extensions from your Mac’s browsers. A pop-up window will appear asking for confirmation to uninstall the extension. Select ‘Uninstall’ again, and the PLC will be removed. When you are facing problems on your Mac as a result of unwanted scripts and programs such as PLC, the recommended way of eliminating the threat is by using an anti-malware program. Combo Cleaner offers advanced security features along with other modules that will improve your Mac’s security and protect it in the future. 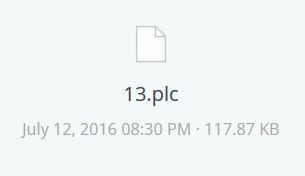 Hey !, I found this information for you: "Latest In Ransomware: .PLC Virus Splits Files In Encrypted Parts". Here is the website link: https://sensorstechforum.com/latest-ransomware-plc-virus-splits-files-encrypted-parts/. Thank you.